Being quadrilingual means that much of my education in language has come from being self-motivated and self-taught. A common misconception is that I’ve learned to speak English, Kiswahili, Setswana and Kalanga in attempts to appear more worldly or cultured. I don’t speak four languages out of a desire to be worldly, but out of necessity. At one stage in my life I was quite envious of those for whom one language is enough. Now, however, I embrace my need to speak four languages. To this very day I can vaguely remember the orphanage. At seventeen months and sixteen pounds I did not like the look or feel of the world; I found it too visually unappealing for my liking, too upright, twisted and evil for me to invest any hopes in it. Thus, my initial enthusiasm for literature stemmed from a desire to see the world, not as it was, but rather as I believed it ought to have been. My first seven years were spent in Mwanza, Tanzania, my motherland. The first language I learned to speak was, naturally, Kiswahili. It was the only language spoken both at home and at school. I found that academia, particularly literature, came naturally to me. My peers wrote words, I wrote sentences. While they read paragraphs, I read books. My teacher was so impressed with my progress that she suggested I be promoted to Standard Three to which my mother agreed. Although I did exceptionally well academically, socially I struggled. Being in a classroom with classmates who were three to five years my senior proved challenging. They interacted in a way I was not accustomed to and used a vernacular completely foreign to me. It was a miserable existence. 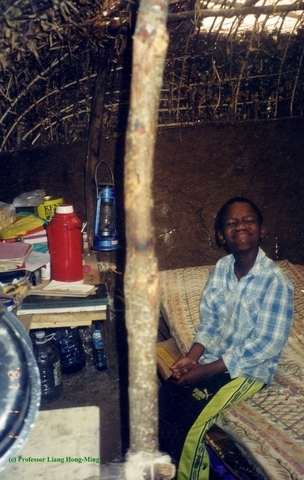 At the age of eight, I left Mwanza and relocated to rural Kenya where I remained for several years. It did not take long for me to become proficient in the local language, Samburu. Although unaware of the fact prior to relocating, we found that Samburu was far from an ideal place to spend one’s childhood. The quality of education was poor as a majority of teachers were uneducated themselves. Furthermore, Samburu was in the midst of a violent war against several neighbors. It was not uncommon to dodge bullets and explosives to and from school. Rather than being anxiety-ridden, my friends and I turned it into a game; whoever could run home the fastest and remain unscathed was crowned victor. Whilst living in Samburu, I was presented with the opportunity to study abroad in the United States of America. I entered a government-sponsored program meant to improve fluency in the English language, a language of which I spoke only three words: ‘hello’ and ‘thank you.’ Prior to this opportunity I had never had a reason to learn English. Whilst my parents were English-speaking Americans, they spoke both Kiswahili and Samburu fluently; the reasons to learn English had simply never presented themselves. Motivated, however, I continued to attend the local village school during the day and made an effort to study in the evenings. Like running water and motor vehicles, electricity was a nonentity in the community of Ngilai. I spent much of my time by a kerosene lantern reading books and newspaper articles I had purchased on bimonthly excursions to Nairobi. Slowly but surely, I saw my hard work and determination come to fruition. I found works written in English to be of a more fantastical nature. Unlike the dry textbooks and news articles available to me in Kiswahili and Samburu, English literature transported me to lands of which I knew nothing. Favorites ranged from the Maurice Sendak classic Where the Wild Things Are to Lois Lowry’s The Giver. These works provided a means of envisioning an alternate reality for myself, one in which I did not fear for my life. Nine years ago, I first set foot in the United States of America. I remember very clearly the day the airplane tickets arrived. My mother and I sat at the foot of my bed staring at the bits of paper in joyous disbelief. That night I slept in an empty bedroom knowing that my next sleep would be in a different country. This feeling is one that remains as clear to me as if it happened last night. Knowing that with my hands, eyes, and heart I possessed the power to not only open a book, but the ability to make sense of the letters on any given page brought me more joy than I had ever imagined. I fancied myself something bulletproof, something that could not and would not be broken. I found the schooling environment in Duncanville, Texas to be starkly different from what I had grown accustomed to. In both Tanzania and Kenya, pupils did not speak until spoken to, we did not take our seats until invited to do so. This meant that should the stars have not aligned for an instructor on any given day, there was the chance we would remain standing for a two-hour class period. When a member of the staff, prefect body, or janitorial department approached in the corridors, students were expected to stop walking, align themselves with the left side of the wall and wait for the higher-up to pass, only going about their business once the superior was no longer in sight. We were not rewarded for achieving an A grade; it was expected that we did so. Three consecutive B grades in any given subject would result in suspension. It took me all of the two years I spent in Duncanville, Texas to become accustomed to this example of the American educational system. A system in which the pupils seemed to be handed free rein, in which they barked back at teachers, lashed out at fellow classmates, and openly displayed little to no concern or desire for academic excellence. Although I had perfected the American accent, I had not learned conversational sentence structure or colloquial vocabulary. Much of my speech sounded derived from a textbook. At the time this frustrated me to no end, but in hindsight, this was quite humorous. While peers were perplexed, teachers and other figures of authority were impressed more often than not. Following a year in Duncanville, now thirteen years old, I found myself in Francistown, Botswana. As with Kiswahili, I became fluent in both Setswana and Kalanga in little time. I attended a school which was one of two high schools and the only private institution in the country. 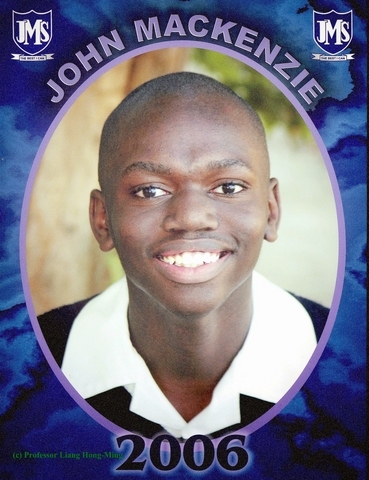 At John Mackenzie Secondary School I specialized in Accounting, Art, Business Studies, English Literature, English Language and History. Although these courses developed my analytical and theoretical skills while simultaneously challenging my more creative side, I struggled to think of an occupation that would marry all these loves. Although I finished high school in two years, at fifteen years I was deemed too young to attend university. Uncertain as to what it was I wanted to study, I traveled for three years with Botswana as a base. I studied in France, Italy, Australia, and Hawaii. Through these travels I discovered that media communications was my calling. The very prospect of exploring the field in-depth excited me. Ultimately, I reasoned that pursuing higher education would provide me with the experience and knowledge I needed to become employed in the Advertising and Marketing industry, which remains my goal. I applied to Webster University, a university well known for its Advertising program, and am currently enrolled in the School of Communications as an Advertising and Marketing Communications major. To this day I am not completely confident in my ability to articulate thoughts and emotions in the English language. I choose words wisely, all the while in silent prayer, terrified my words will be misunderstood or misconstrued. It is a feeling likely to stay with me for the remainder of my existence. I remind myself I am far better off than I was and that somehow my dreams have already broken the boundaries of my fears. The North Star Reports will share brief dispatches from our student interns, particularly from those who are currently stationed, or will soon be stationed abroad. Student interns have reported from Mongolia, Southern China, Shanghai, northeastern China, The Netherlands, Tanzania, Ireland, England, Finland, Russia, and Haiti. We also have students developing presentations on theatrical representations of historical trauma, historical memory, the price individuals pay during tragic global conflicts, and different perceptions of current events from around the world. We will post their dispatches, and report on their interactions with the North Star Reports students and teachers. (c) 2012-present The Middle Ground Journal. See Submission Guidelines page for the journal’s not-for-profit educational open-access policy.